Albuquerque. The Loan Fund, the state’s oldest and most experienced nonprofit community lending organization, has received a $250,000 investment from United Business Bank. The investment will directly fund affordable loans to small businesses and nonprofit organizations in the Albuquerque metropolitan area that may not qualify for loans through banks or credit unions. “United Business Bank is very pleased to be able to participate with The Loan Fund on this investment. The Loan Fund has a proven track record of creating economic opportunities for under-served small businesses and entrepreneurs in the local area and we felt that we could make the biggest impact to the most people by partnering with them. We are confident that this relationship will lead to many good quality loans that will achieve a positive social and economic impact in the Albuquerque metro area,” said Michael Miller, United business Bank Senior Vice President and Regional Lending Manager. The Loan Fund currently has $13.2 million in loans outstanding across New Mexico, with approximately 60 percent of those loans to small businesses and nonprofit organizations in the Albuquerque metropolitan area. The Loan Fund’s services currently support over 1,200 New Mexican jobs. 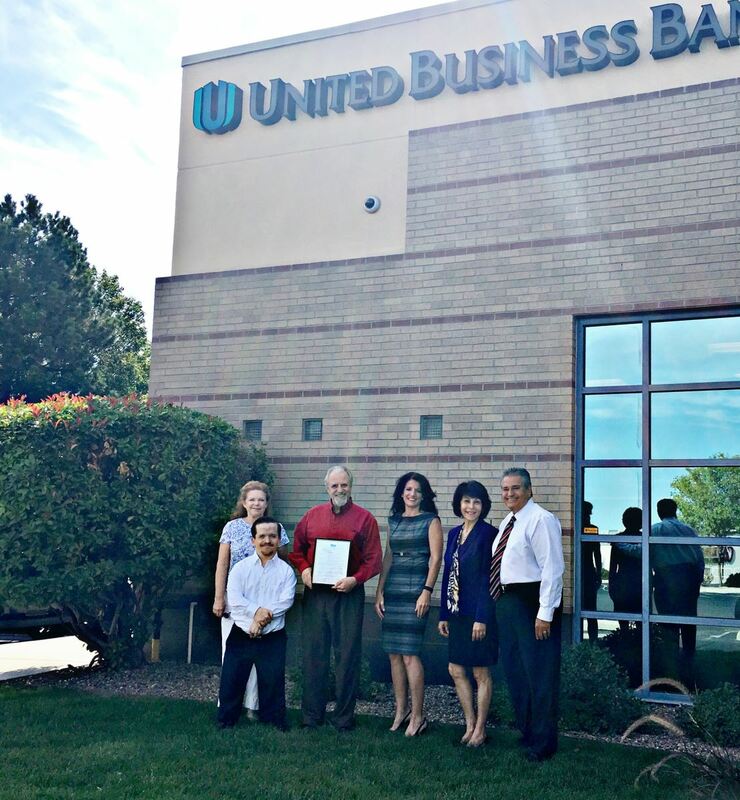 “United Business Bank is a community-minded bank, and The Loan Fund looks forward to working with them. These new funds will help financially underserved small businesses and nonprofits in the Albuquerque area grow and thrive,” states Leroy Pacheco, President/CEO of The Loan Fund. The Loan Fund is an Albuquerque-based nonprofit organization that provides loans from $5,000 to $500,000 and consulting services to small businesses, entrepreneurs, and nonprofits across the state that are typically unable to access credit through traditional lending sources . Founded in 1989, The Loan Fund has made over $68 million in loans since inception to help create or preserve more than 8,300 jobs in New Mexico.